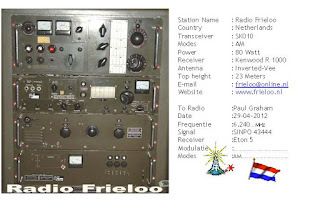 6267-16.53 Unid Playing Stan Ridgeway And Dutch Music Good Signal Sinpo 44344. No Id Heard. People in troubled countries nearby are asking you for your help! This are links to jingles in Russian and Ukraine and English language. To support real democracy and stop dictators! Please, please, put these links everywere on the net and send them to people who need to hear this or transmit these jingles. Let them , and the European dictators know freedom loving people are not alone !! 4015-6,05 Laser Hot Hits Paul Stewart Playing Shakatak. Good Signal Sinpo 43444. Faded Out Completely About 10 Minutes Later. 6355-21.25 Unid Playing Dutch Music. Strong Signal Sinpo 54444. Off A Few Minutes Later. No Id heard. Hamburger Lokalradio are on this Thursday the 17th of May 2012. Sorry for the inconvenience but please tell your radio friends about this change. 6200-6.40 Unid Weak Signal, Can Just About Hear Some Music Sinpo 22122. Maybe Radio Orang Utan. 6285-18.35 Radio Spaceman Playing Focus"Sylvia". Strong Signal Sinpo 54444. Hi free radio friends from all of us here at Geronimo Shortwave. Just to let you know. Geronimo Shortwave now has no less then TEN different designs of electronic QSL's available. 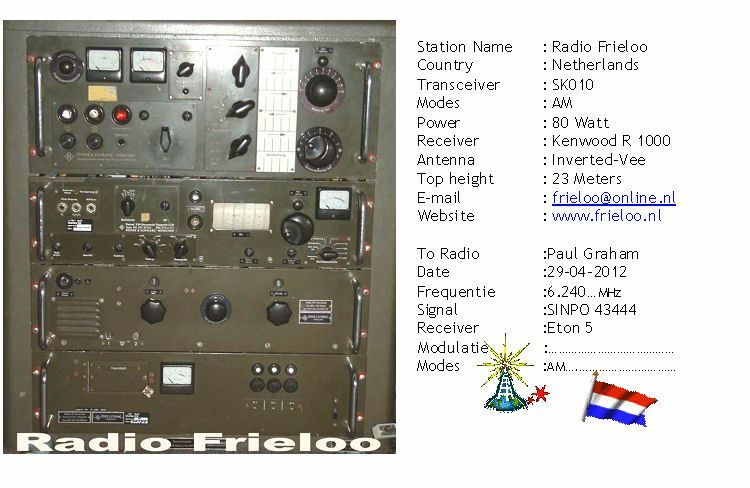 These include the original e-QSL series, the three studio e-QSLs, and now we have two brand new photo collage e-QSLs. 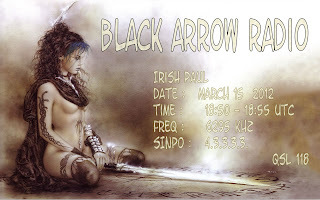 One featuring a selection of previous Geronimo SW QSLs and another with great hotos of different pirate radio ships. So please listen out for us on the air again very soon, and drop us an email with a reception report (your comments on our programmes are also very much appreciated! 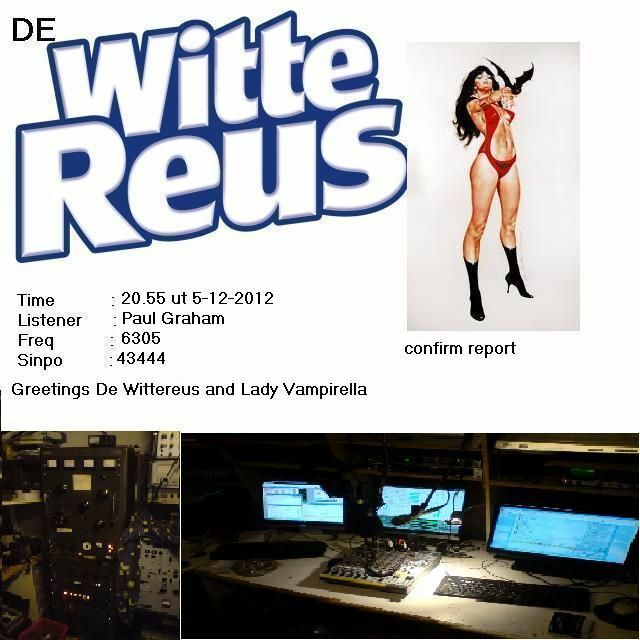 ), and we'll send you one of our brand new electronic QSLs. 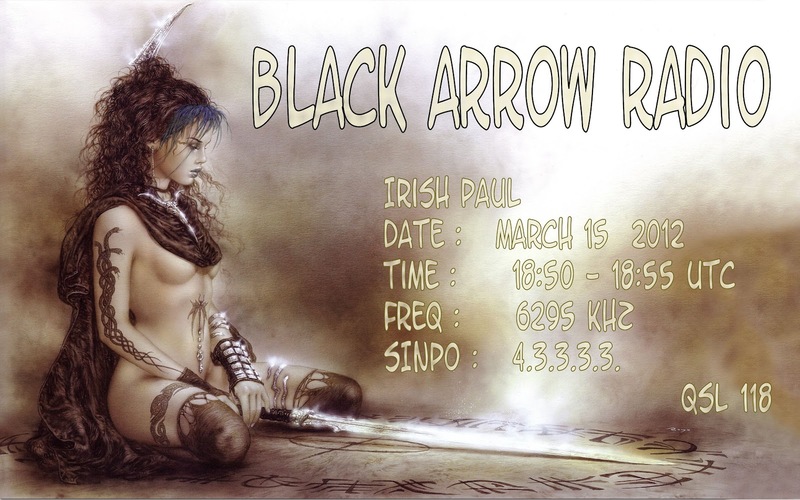 Free Radio, for Radio People! 6295-18.46 Unid Playing OMD. Strong Signal Sinpo 54344. Close Down A Few Minutes Later. 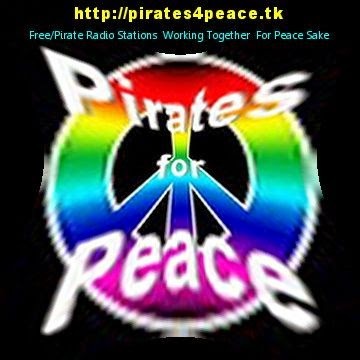 Wizard Radio's New Blog http://mwpirates.blogspot.com/. 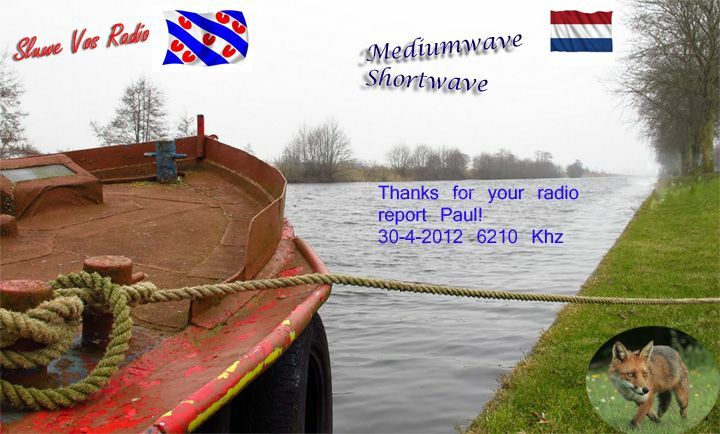 Many Thanks For The QSL. 6291-17.35 Radio Caroline International(see comments) Playing Dance Music. Only Heard Briefly Before Fading Out. Sinpo 33233.